Navigating the web of marijuana laws in the US is tricky — even in the states that allow recreational cannabis. Things get even more complicated when you’re traveling to and from a legal recreational state by plane. Federal agencies have authority in airports once you pass security — including in states with legal recreational and medical marijuana. Which means that within a span of minutes you can take weed from a place where law enforcement is cannabis friendly in pre-security, to where law enforcement is anti-cannabis post-security. The best thing you can do is leave your drugs in the recreational state you bought them. Don’t be that person who buys from a recreational dispensary for the first time without knowing the ins and outs of purchasing and possessing. If you’re curious, however, here’s what can happen if you do arrive at the airport with cannabis. Can the TSA arrest you for possession of marijuana? The TSA, in general, isn’t searching out drugs. The agency’s primary goal is to find threats like weapons and explosives. If they do stumble across some drugs, however, they will report it to law enforcement. The hitch here is that it’s up to local law enforcement to crack down on laws (including federal ones), meaning it has discretion on how to respond if and when the TSA reports drug possession. In short, the TSA is tasked with following federal law yet it can’t technically do anything about it other than call in the authorities like some type of Barbecue Becky. Local law enforcement can choose to enforce state law or federal law when it encounters cannabis, which is where the divide between major airports comes up. In legal recreational states, consuming cannabis is somewhat like consuming alcohol. You can’t, for example, use weed in public, and that goes for use in airports as well. It’s a different story when it comes to possession, however. 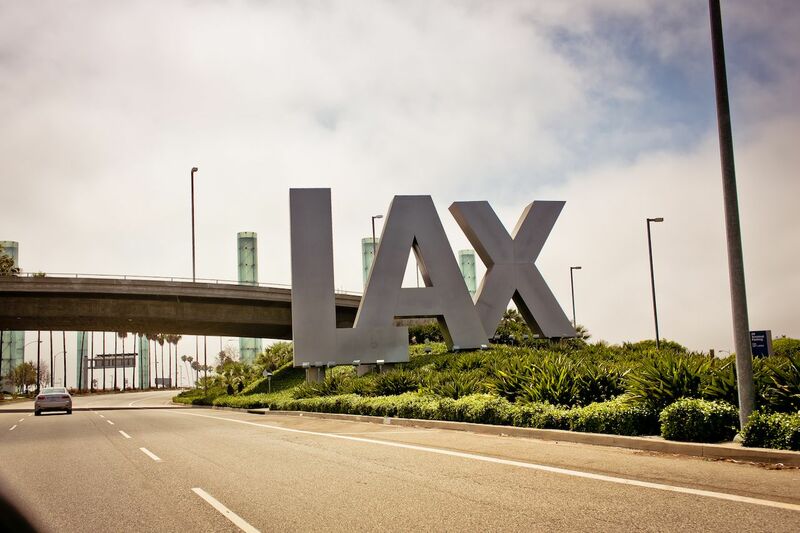 LAX: Along with Van Nuys Airport (which is policed by LAX’s law enforcement), Los Angeles has the most open airport when it comes to cannabis and security. Note, however, that just because California’s police doesn’t care about that joint in your bag doesn’t mean the police at your destination won’t if it’s outside of the state. John Wayne Airport in Orange County: While you can’t consume it, authorities are going to let you pass without hassle. San Francisco International Airport: Public information officer Doug Yakel told SF Weekly that law enforcement at SFO won’t confiscate or prosecute anyone possessing the legal amount of one ounce. Logan International Airport in Boston: Law enforcement will allow people to walk and board freely with cannabis here, the state police told the Boston Globe. But like at LAX, just know the cops at your destination might not be as friendly. Seattle-Tacoma International Airport: Once it’s confirmed that you’re not carrying more than you’re legally allowed to (and that you’re over 21), pot possessors leaving Seattle are allowed to go about their day with their cannabis. Denver International Airport: The weed you buy at Denver’s best recreational dispensaries is treated like how a water bottle is treated. People can throw it away, put it in their car, or hand it off to whoever gave them a ride. Colorado Springs Airport: Same as at Denver International; law enforcement will take it away or ask you to dispose of it when on airport property. 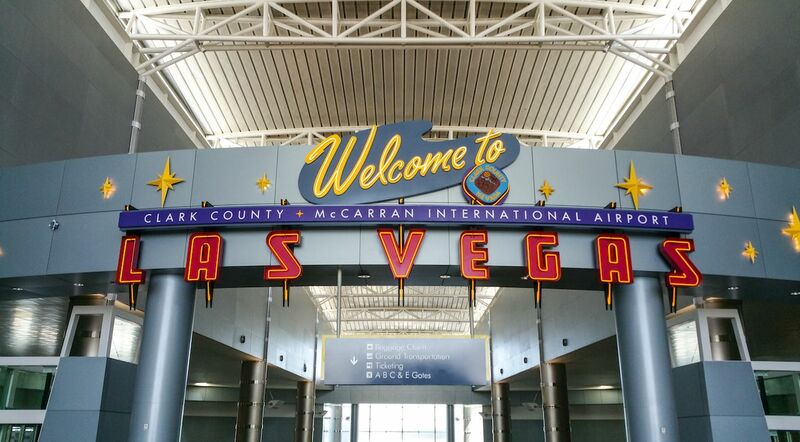 McCarran International Airport in Las Vegas: Las Vegas has some great recreational dispensaries, but Nevada is looking to keep its gaming licenses, which are granted by the federal government, so it’s far more strict than other states. Anyone with a legal amount under Nevada law will be cited with a ticket and the product will be confiscated. More than the legal amount and you’ll be arrested with a felony charge. Nevada’s airports make it clear that marijuana is not allowed on airport property. There are signs and places to throw away cannabis products before you arrive called amnesty boxes, which is the same for McCarran’s Henderson and North Las Vegas branches as well as the Reno-Tahoe International Airport. Portland International Airport: Airport police in Portland have no problem with people possessing marijuana before security. Officers will follow federal law, however, as soon as an issue happens after security.